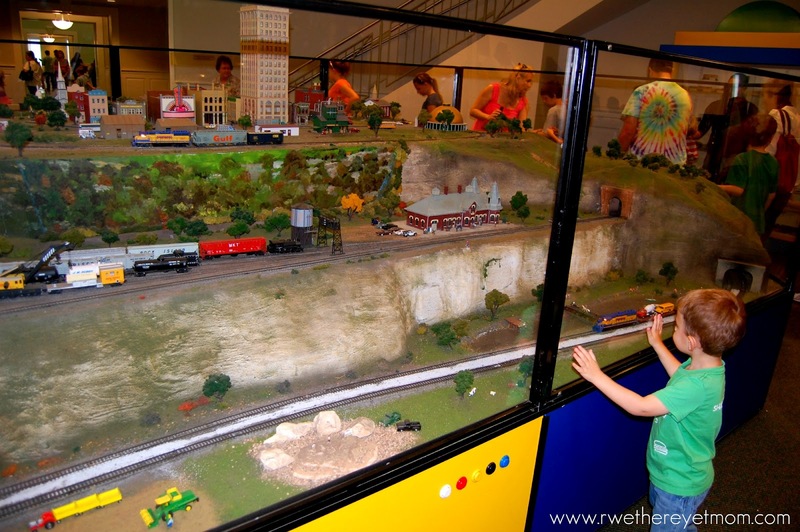 Mayborn Museum Children's Discovery Rooms ~ Waco, Texas - R We There Yet Mom? Hands down, one of the best children’s museums I have been to in the state is here in Waco at the Mayborn Museum. 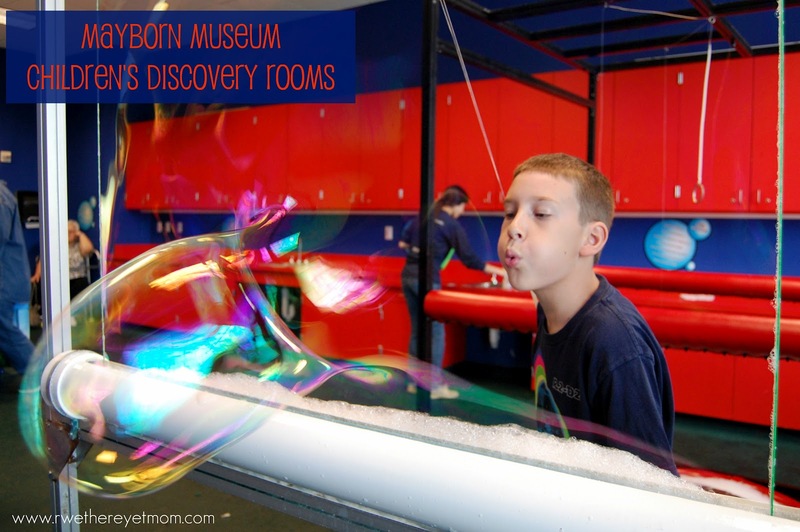 The sixteen – yes, SIXTEEN – Discovery rooms will enthrall, entertain, and even educate your children for hours on end,no matter what their ages. Even this mom had fun. As I mentioned yesterday, the Mayborn Museum has a Natural History Museum, a Historic Village, and a Children’s Discovery Center. As my kids really enjoyed the scavenger hunt through the historical side of the complex, the hunt continued on in the Discovery area. But truth be told, they had so much fun, that they sometimes forgot about the hunt. What engaged my kids so much? What were they busy exploring? And why did they enjoy it so much?? It could have been the fact that they touched and played with everything. 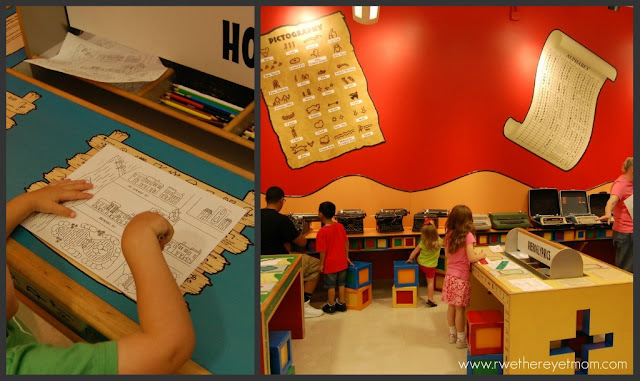 This museum gives the words “hands-on” new meaning, with activities, buttons to push, dress up clothes to put on, puzzles to solve, science experiments to build, cars to drive, tea to serve, and on and on. While my daughter spent a long time mastering “Twinkle, Twinkle” on the giant keyboard, my son chose to make some weather in the room next door. My toddler loved driving the fire engine and school bus and planting a garden in Mrs. Moen’s Neighborhood. We performed science experiments with velocity and force. We built an arch out of blocks. And we learned the importance of recycling. But our absolute favorite room? The Bubble Room! 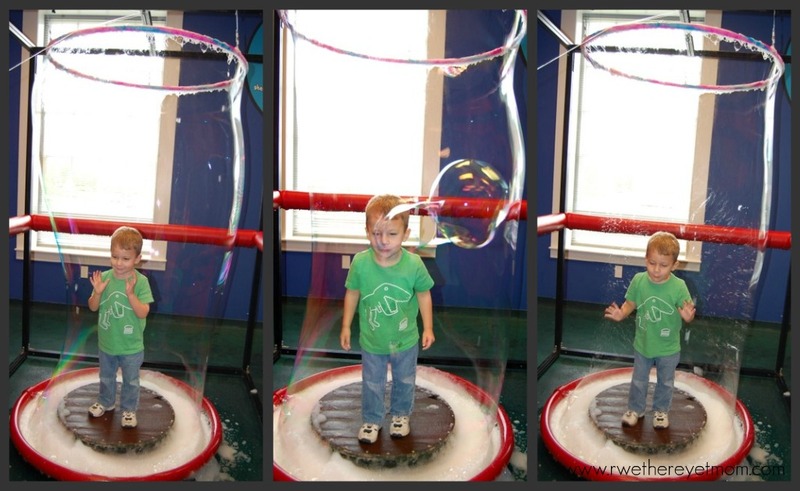 All 3 kids got to see what the “inside” of a bubble was like as they crated bubbles around themselves. They attempted to try to blow the biggest bubbles they could. At one point, we had a crowd working together to blow a big one. It was fantastic. What fascinated my toddler the most? This wonderful model train set. He could watch it for hours if I let him. The details and workmanship of each of the Discovery Rooms is done with such care. As a mom, it is refreshing to take your children to a place that was built so well. Each child has an opportunity to explore what they want, at their own pace and get a lot out of their experience. 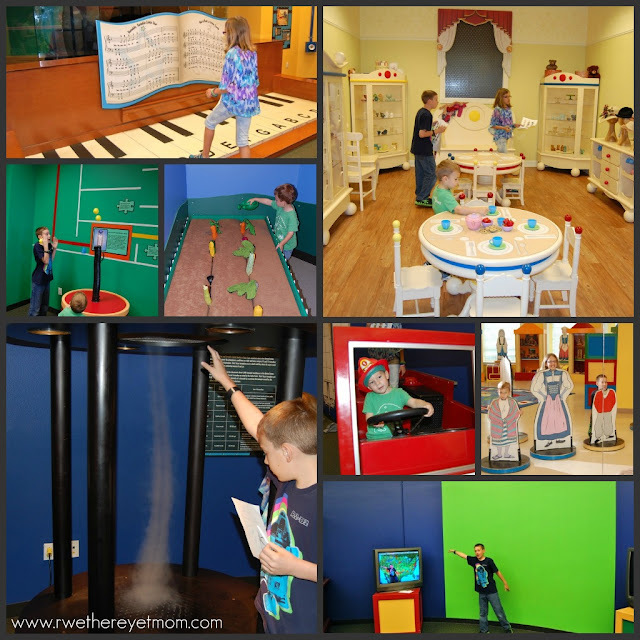 The Mayborn Museum’s Children Discovery Rooms was a highlight of our Spring Break and is at the top of our list of places to visit in Waco. Make sure to visit part one of our visit to the Mayborn Museum Complex and learn about the Natural History Museum. My children and I were invited to visit the museum and were provided admission. I was not financially compensated for this post. All opinions of the Mayborn Museum are strictly my own based on my experience. Amen for kids places that are built well. They seem to always take a beating and are falling apart by the time I get to them. Now I want to see what the inside of a bubble looks like. Children’s Museums are THE BEST!